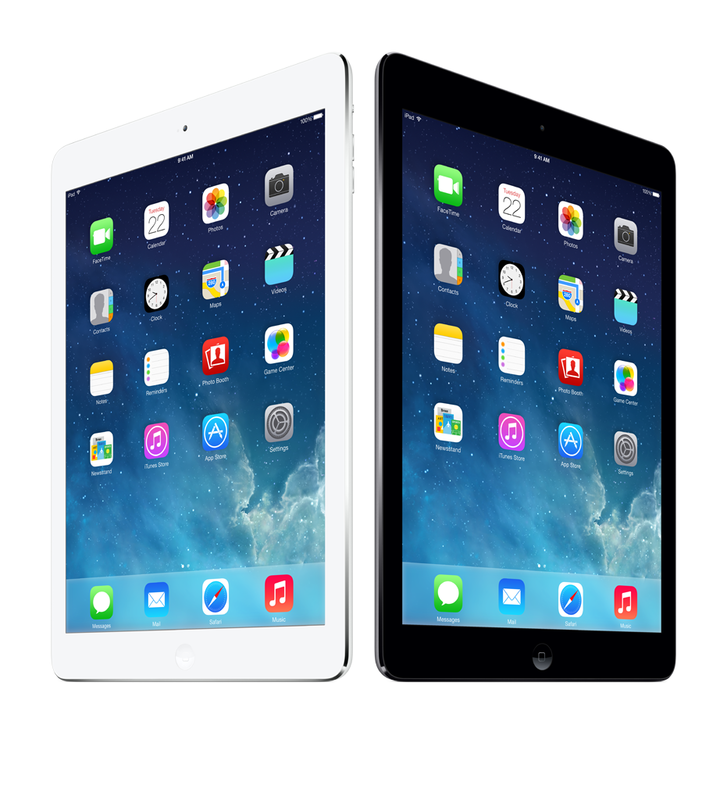 iPad Air is 20 percent thinner1 and weighs just one pound, so it feels unbelievable light in your hand. It comes with a 9.7-inch Retina display, the A7 chip with 64-bit architecture, ultrafast wireless, powerful apps, and up to 10 hours of battery life.2 And over 475,000 apps in the App Store are just a tap away3. 1Compared with iPad (4th generation). 3Refers to the total number worldwide. Not all content is available in all countries.